As Padstow gets busier and the prices of commercial premises and rents move further into the stratosphere a new generation of culinary entrepreneur is looking further afield to enhance the Camel delta experience. 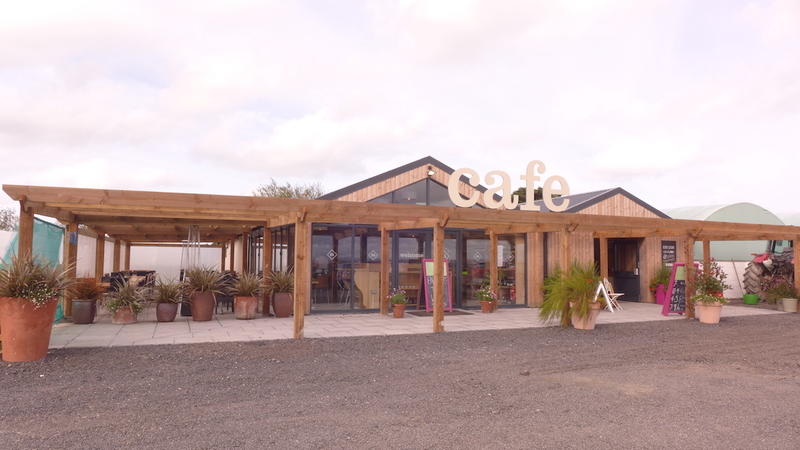 Two of our favourites are Trevisker’s Kitchen & Dining, that opened last year at the Trevisker Garden Centre a mile or so out of town on the B3276, and Strong Adolphos perched above the achingly hip Hawksfield lifestyle retail development on the Atlantic Highway A39, near Wadebridge. You can’t miss either: Both have ‘cafe’ on their roofs, a simple and effective inducement. It’s worth noting however though that Trevisker’s Kitchen & Dining was formally called Margot’s, when chef Adrian Oliver was there. He’s left and in addition to installing Henk de Villiers Ferreira as head chef this out-of-town casual eating experience has been expanded to include a takeaway; more of that later. Within a bright and airy timber framed structure Trevisker’s is joined at the hip to the reinvigorated garden centre that sells much more than plants. With an exposed gable roof and a partially open kitchen at the far end. There is a large terrace restaurant adjoining it for sunny afternoon teas. Glass and natural wood pervade and the feeling is open and faintly Scandinavian. If I had to put my finger on the stye of cooking I’d say bistro comfort food with a dash of the orient. Braised belly pork with chive mash and sauteed wild mushrooms, pumpkin seed crusted chicken breast with brie and butternut squash and parsley crusted hake. The heart of the menu is steaks: smoked brisket, aged fillet and rib-eye. Steak is always a good barometer of a restaurant, like house wine. If they get those right the rest usually fall into line. 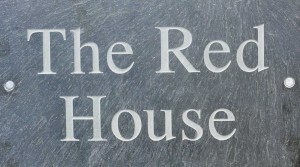 I confess having not dined there in the evening for some months but when I did I ordered what was then Henk’s Sirloin – served with a florin of tarragon butter atop and a plump grilled tomato and crunchy, salted chips balanced flavour with texture, and colour with aroma. A timeless classic done to perfection. The comfort food angle applies to the desserts too that number panna cotta, sticky toffee pudding, and pavlova. Breakfasts at Trevisker’s are popular.A full English comes in at £8.95 or £7.95 vegetarian. Not only has there been a name change the new look restaurant is now also offering a comprehensive takeaway menu. I dropped in the other evening having found nowhere to buy fish ’n chips on a bleak midwinter night when I recalled seeing a blackboard advertising as much on the grass verge outside the Garden Centre some weeks ago. Much to my delight beer battered Fish of the Day comes in at £7.50 (large) or £6.50 (regular) with a small tub of mushy peas an extra £1.00. While I waited for it to be cooked the waitress handed me the new takeaway menu that has a range of dishes from Goan vegetable curry or fish curries to 8oz rib-eye or rump steaks. Starters include fish goujons, pancakes and breaded goat’s cheese with herb puree, roast vegetables and mixed salad. ‘Kids meals’ are £4.00. Place your order over the phone and it will be waiting for you when you arrive. The new look Trevisker’s is also expanding the off-licence side with beers and wines. When I got back with my fish of the day in a biodegradable flip-top box I realised I’d forgotten to ask what fish it was? Suffice to say it was brilliant white, fleshy and full of flavour. Kim thinks it may have been hake. The batter was thick and crisp, just like the chips. Put together this latest addition to the Padstow takeaway cuisine side of things, under the stewardship of head chef Henk de Villiers Ferreira, is a serious contender. Three miles further from town, on the Atlantic Highway, Strong Adolphos is the sort of ‘Millennials’ breakfast and lunchtime diner the modern motorcyclist has been craving for. It serves all the biker favourites: Juicy fat butternut squash bean burgers (!) served with chips the size of thumbs, salad and coleslaw, and the prettiest cupcakes this side of Betty’s of Harrogate. And if that doesn’t flush your pistons there’s usually a motorcycle parked nonchalantly on its side-stand next to the counter – inside. New age biker, meats, meets tattoos, surf boards, big beards, body piercing, and delicious colourful grub; king prawn, clam and chorizo chowder with chives tomatoes and sourdough bread almost made me break a golden rule and take a photograph of my meal. One look at the owner John Fristrom Eldridge and you can sort of understand where Strong Adolphos is coming from. Its his restaurant but his passions seem equally divided between food, customising motorcycles https://vimeo.com/95952722 and designing surfboards. This man has the wild west county on steroids. It fiuts right along with the other business at Hawksfield: John O’Carroll’s contemporary gallery; Jo & Co a tasteful interiors store; Bin Two at The Arc, a deli with every culinary treat you didn’t know you wanted; The Goose Shed vintage interiors and reclammations; and Bespoke Traders specialising in some of the best and quickest classic cars and bikes known to man. Strong Adolphos is the perfect fit. But don’t for a moment think Adolphos is just a drop-in for politically correct bikers. Although it’s important to put what is the coolest and genuinely alternative highway cafe into context. Strong Adolphos is about as far away from the conventional west country lunch-stop as imaginable. Like Margo’s its a purpose built restaurant with high ceilings and a neo industrial look featuring polished ventilation ducts and naked light bulbs. There’s a ‘loungy’ sofa and coffee table seating/dining area, chalk boards with specials, and piles of scrumptious primped and preened cakes baked by Mathilda. If there are underlying influences its Scandinavian (I’ve never used that word twice in the same article before) and oriental, with bits of the menu reminding me of trips in an earlier life to Sweden and Norway. Salmon gravadlax with dill and beetroot, yarg fritters with onion and chutney. Elsewhere Thai beef with mushroom noodles, tempura prawns and always plenty of dal – lentils, chickpeas and coconut – that’s spicy, warming and filling. The basics are catered for too. The meat hamburgers are juicy and aromatic, served with all the extras any burgerista expects; chilli and gherkins. There’s slow cooked shoulder of pork and halloumi salad. And Strong Adolphos can also claim to making the otherwise bland pollock a fish worth eating enlivened with chilli and tarragon potato salad. Time to get out of Padstow – to get in. 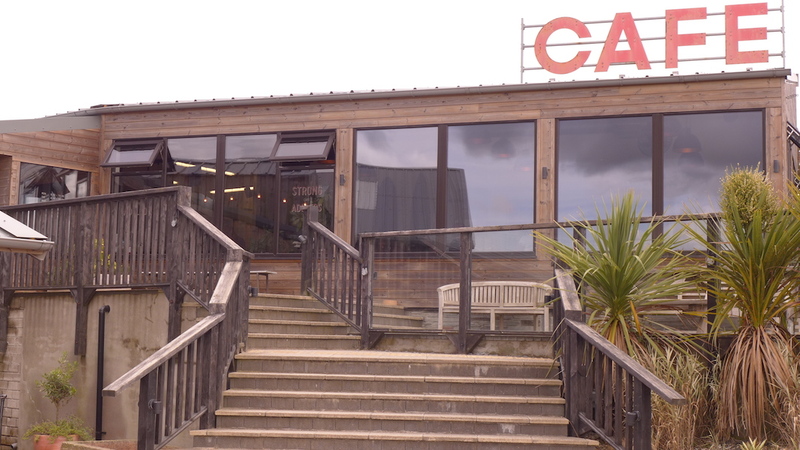 Trevisker’s Kitchen & Dining, Trevisker Garden Centre, Padstow, PL28 541361.